My alarm clock had gone off at 2am. I’d hauled my way up to Haleakalā National Park in search of a spectacular sunrise and found only bone chilling fog. A drenching rain turned my bike ride down the volcano into something more like a sea kayaking expedition on wheels. When I arrived at Wailea Beach Villas, it’s safe to say signs of my rough morning were pretty apparent. It was a couple hours before check-in time, but the pampering began immediately–iced tea, hot tea and an orchid lei. The sun was coming out and it looked like the afternoon might be salvageable, if I could only get out of my wet, squeaky shoes. The bad news was my villa wasn’t ready. The great news was, it was close to being ready. If I didn’t mind making friends with housekeeping, I was welcome to settle in to the bedroom and bathroom that had already been cleaned. (I could also use the dryer in the laundry room. Hooray!) The manager made a few quick calls and walked me to my penthouse perch. Up a key access elevator to the 5th floor, when the doors opened, I couldn’t help but exhale in relief. I’d been on the move in Hawaii for six days. 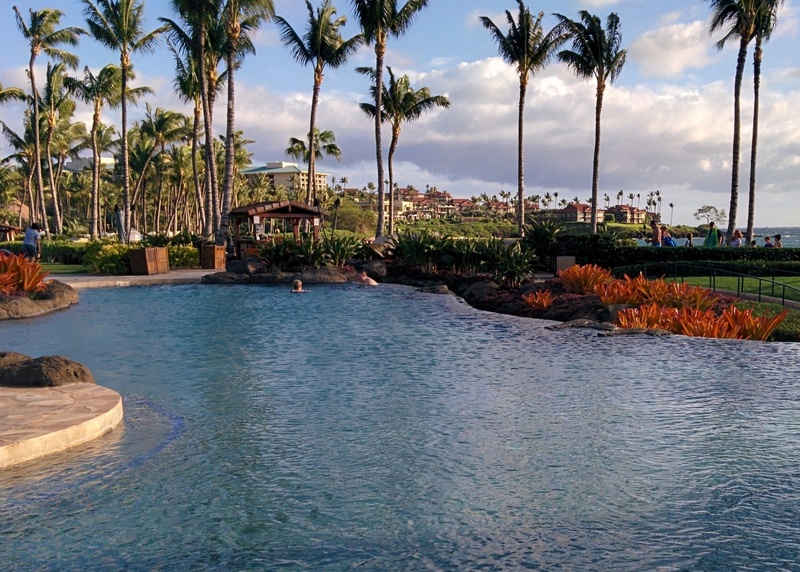 I had two more nights in Maui and I could tell it wouldn’t take much to feel spoiled at Wailea Beach Villas. After getting into dry clothes, I did my best to stay out of way of the two housekeeping staff cleaning the master bedroom and kitchen. But I couldn’t resist the urge to explore the villa. I say explore, because at 1900 square feet, it might be bigger than the actual homes of some of the guests that come to stay, especially the city slicker set. But it might as well have been a shoebox. The large balcony, complete with table, room to lounge and Viking barbeque grill has a view next to impossible to walk away from. 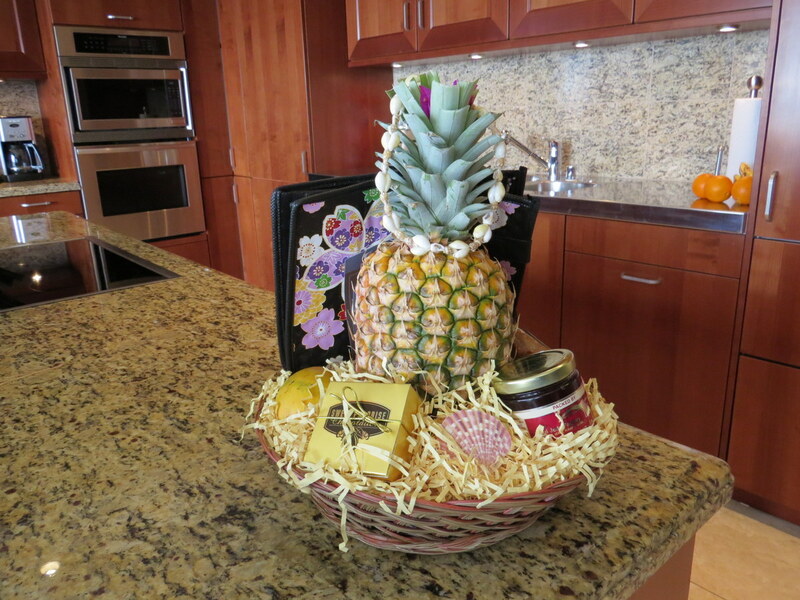 A loaded with fruit and goodie basket, sitting on a stretch of the gourmet kitchen’s granite counter top, offered tasty snacks to tide me over until dinner. And speaking of dinner, all welcome baskets come with some great, practical gifts including a $20 dining certificate to Ruth’s Chris Steak House, $20 dining certificate to Tommy Bahama Restaurant (both located at the neighboring Shops at Wailea), a complimentary insulated lunch sized tote bag and a discount card for use at Hawaii’s Foodland grocery store. The kitchen is fully equipped with a range of cooking supplies, wine glasses of every shape and size, a sub-zero refrigerator and other high-end appliances. Upon request, staff will do your grocery shopping and have the kitchen stocked before your arrival. The loaded coffee bar with whole bean coffee and grinder, ground coffee and decaf, and specialty Hawaiian teas delivers caffeinated vacation boosts on demand. I got hooked on the Pineapple Waikiki and Mango Maui black teas, and stocked up at Foodland before my flight home. 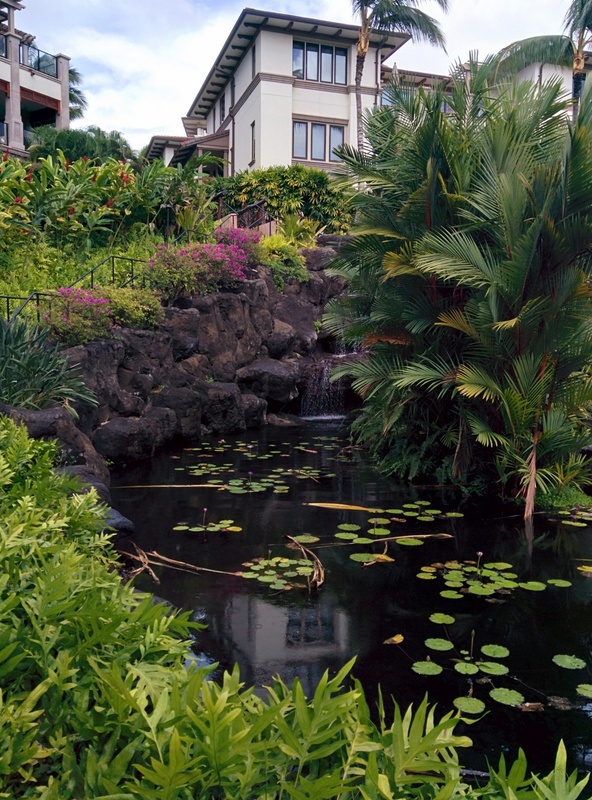 The grounds at Wailea Beach Villas are extensive; 11 acres of lush tropical landscaping and tiki-lit pathways. You could spend hours just wandering. 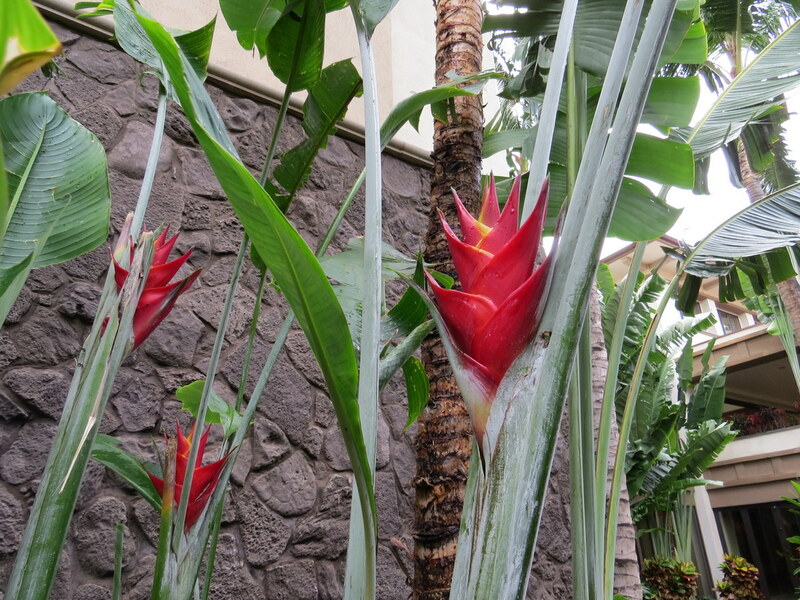 With blooming tropical beauties like water lilies, ginger and heliconia set among gurgling streams, it reminded me of a botanical garden complete with chirping birds. Where ever you are headed, give yourself extra time for distraction. The beach is waiting. You could head right for the sand, no one would blame you. Complimentary cabanas, beach loungers and umbrellas are ready for you on Wailea Beach. But if you’re up for a bit of exercise, the beachfront walking trail rewards active ones with one view after another and there’s some fun snorkeling waiting on Ulua Beach. 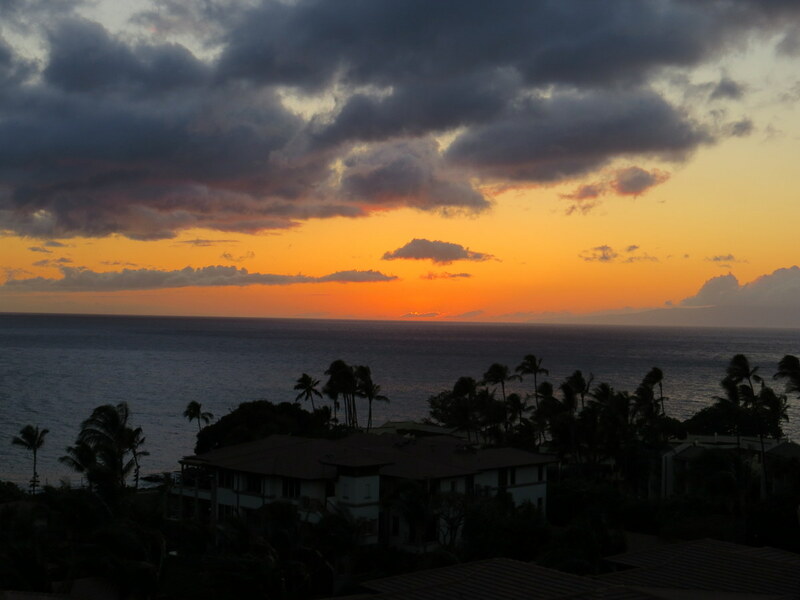 The Wailea Beach location can’t be beat, but at the end of a beautiful day in the sun, neither can the perks that come along with your stay at the Wailea Beach Villas. You’ll appreciate the shaded garage parking that comes with penthouse suites and the complimentary WiFi and high-speed internet access in individual rooms and throughout the resort. There’s a pool table not far from the family pool and a separate adults only infinity pool steps from the beach, a concierge for assist with tours, dinner reservations, tee times and well, pretty much anything you can think of. 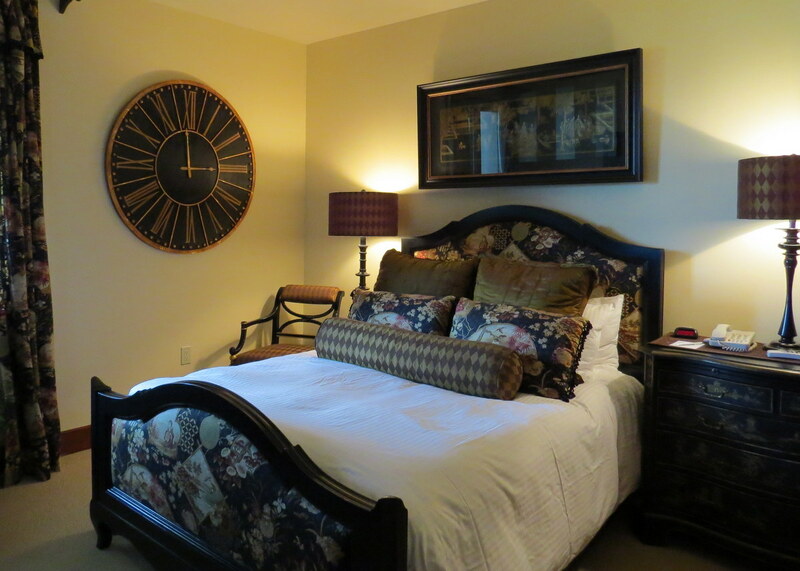 Daily housekeeping, complete with evening turn-down, means you’ll never have to make your bed. E Komo Mai! Welcome to paradise. 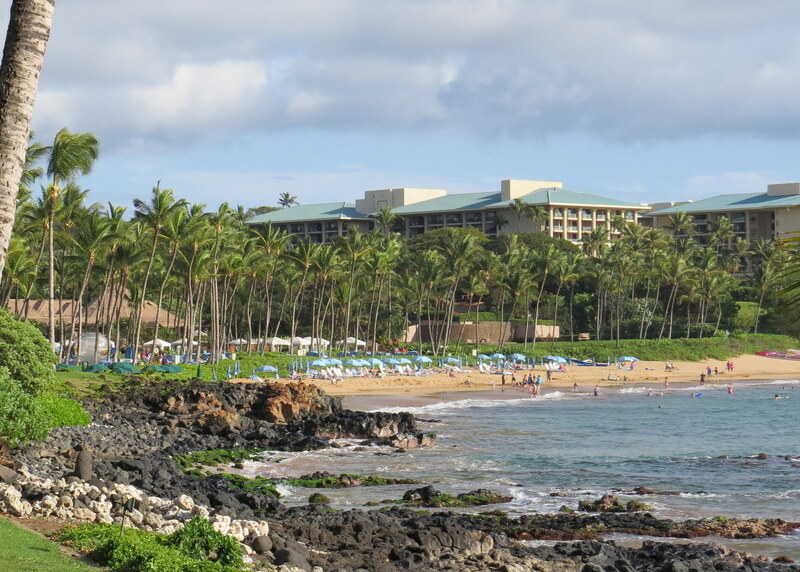 Dana’s stay at the Wailea Beach Villas by Destination Resorts Hawaii was organized by the Hawaii Visitors & Convention Bureau, but as always, Dana’s thoughts and opinions are her own. All photos by Dana Rebmann. To read the Luxe Beat Magazine version of this article click on the title Penthouse Pampering at Wailea Beach Villas.